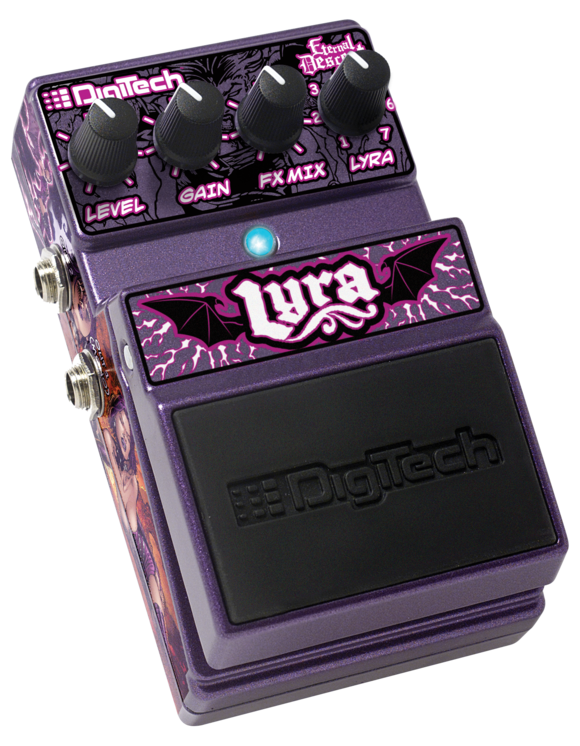 ANAHEIM, California -- Eternal Descent is a comic book and music series unlike any other -- and so is the new Eternal Descent Lyra, a limited edition multi-effects pedal that brings the sound of the globally popular series to guitarists everywhere. Eternal Descent is a cross-genre story that blends elements of fantasy, action, music, superhero, gothic, science fiction, supernatural and other elements into an ongoing saga featuring Lyra, the series' heroine. Lyra is a rock singer who is quick-witted, beautiful, talented, has attitude to spare -- and is immersed in a battle with demons both internal and awaiting her at every turn. Music is integral to Eternal Descent. Created by writer Llexi Leon, the comics revolve around the exploits of Lyra and her band, Constellation Nine, and rock and metal bands like Static X, Atreyu, Firewind, Shadows Fall and others have made guest appearances. A series of albums have been released that bring the comic to life with music created specifically for the series. (Jimi Hendrix, Led Zeppelin, Kiss and others) and his team used to record the Eternal Descent albums. Seven preset tones, from clean to moderate overdrive to crushing distortion are available that match seven songs from the albums. Each preset tone can be further modified by the Lyra's Gain and FX Mix knobs. When the knobs are in the 12 o'clock position, the sound matches the sound of the actual song. Turning the Gain knob left or right increases or decreases the amount of amp/distortion gain, while turning the FX Mix knob left or right increases or decreases the amount of the modulation, delay and reverb effects for each of the seven presets. A Level knob controls the output volume. The pedal has mono and stereo outputs and can be powered by a 9V battery or the included AC power supply.